Product prices and availability are accurate as of 2019-04-11 17:57:52 EDT and are subject to change. Any price and availability information displayed on http://www.amazon.com/ at the time of purchase will apply to the purchase of this product. 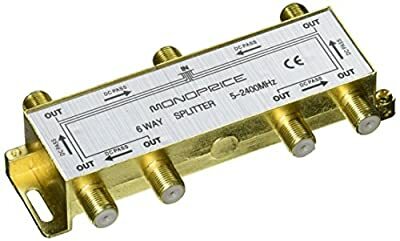 Premium 6 way Coax Cable Splitter F type Screw - 5~2400 MHz (for Video VCR Cable TV antenna). 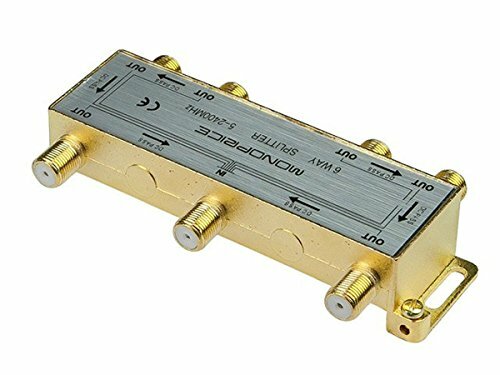 Gold plated connections for optimal signal transfer. 1 input and 6 outputs allow you to split you cable signal and connect TVs, Cable boxes, TIVO units, cable modems and other devices at the same time. 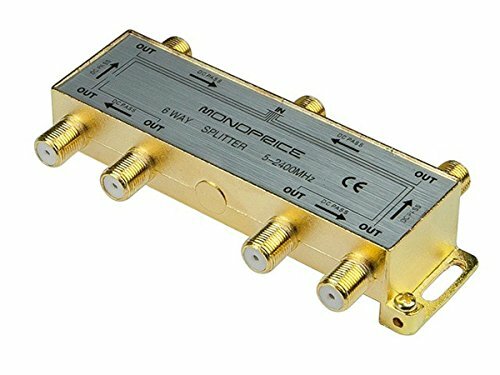 PREMIUM 6 way Coax Cable Splitter F type Screw - 5~2400 MHz (for Video VCR Cable TV antenna) Gold Plated connections for optimal signal transfer. Grounding point provided on one end.